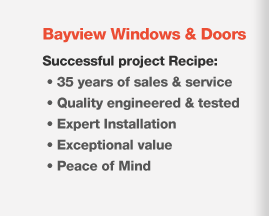 Bayview Windows & Doors is Toronto’s one-stop resource, offering the installation of windows and doors with lasting durability, reliable performance, maximum energy efficiency and contemporary design. 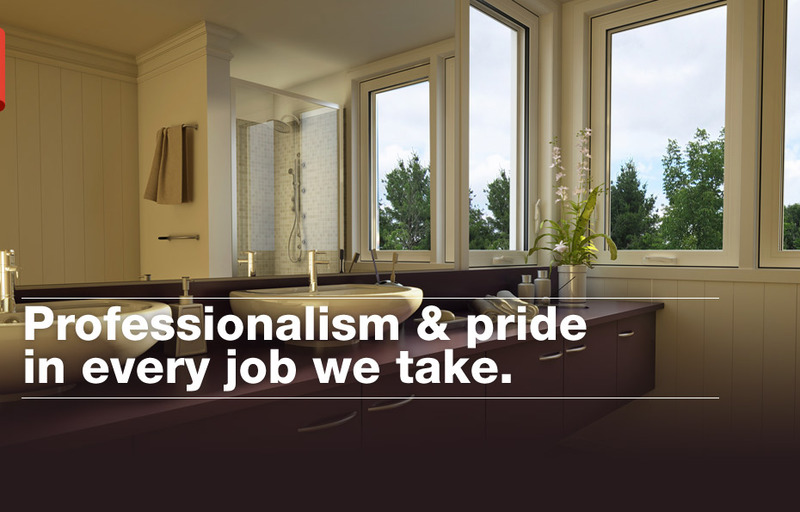 Our trained team of professionals work with homeowners, architects and builders. We bring added beauty, value and protection to your home or commercial space providing security, weatherproofing, easy maintenance and ventilation. Whether you are looking for a bay window that brings sunlight into your oasis, a custom window with artistic flare, a sliding door that opens to the yard or a front door that leaves a lasting first impression, Bayview Windows has the perfect solution for your personal need. We also have all of the necessary hardware, accessories and glass options to make your installation a success. We carry an extensive range of quality, energy-efficient and full-featured windows that are not only beautiful, but offer exceptional value. We carry attractive and energy-efficient Patio Doors that are leading the Patio Door industry with unique and innovative features, such as our Perfect Slide wheels.